Handsome pillars with curved supports create an understated elegance in any room with the best selling Ashley electric fireplace. 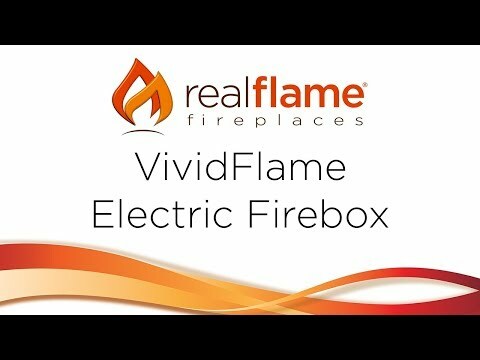 The Vivid Flame Electric Firebox plugs into any standard outlet for convenient set up. Features include remote control, programmable thermostat, timer function, brightness settings and ultra bright Vivid Flame LED technology. Provides supplemental heating for up to 1000 square feet.